Here at Asbestos Waste Solutions, as you know, we use our blog almost exclusively to convey how important the safe removal and disposal of asbestos is throughout the country, and we feel that you can never be too careful when stressing the dangers of asbestos and just why it should be handled with care. It is widely known that asbestos is an extremely hazardous material, but due to the fact that it is no longer actively used in construction, many people are unaware or not fully informed about how asbestos affects us and how much exposure to asbestos is actually harmful. So, in light of this, we will take the opportunity this month to talk about just how much exposure to asbestos it takes to do damage. Who can become exposed to asbestos? In short – anyone. At some point in your lifetime, the chances are that you will have been exposed to asbestos, even if it is only in miniscule amounts. But how? Well, asbestos exposure can occur even from the contamination of the air around us – inside and outside – even if the air isn’t particularly close to a source of asbestos. 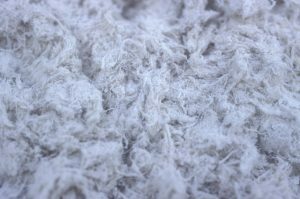 However, for people who experience occupational exposure to asbestos, that is, through construction projects and demolition projects, they are likely to come into contact with much higher levels of asbestos fibres. What’s more, if you come into contact with someone who has been occupationally exposed to asbestos, this can put you at risk too. And, further, each individual instance of asbestos exposure contributes to your total lifetime aggregate of asbestos which, in turn, increases the risk of developing an asbestos-related disease. 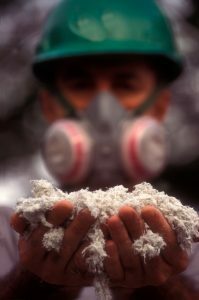 How much exposure to asbestos is harmful? Despite the fact that exposure to asbestos doesn’t necessarily mean that the exposed person will develop an asbestos-related disease such as asbestosis or mesothelioma, it’s generally thought that any exposure to asbestos is harmful. For example, in the mining town of Libby, Montana, the rates of asbestosis in the community were 40 to 60 times higher than expected, despite the fact that the levels of asbestos exposure amongst citizens was below what current OSHA standards allow in the workplace. That said, it’s very difficult to gauge just how much asbestos will lead to illness down the road since there are so many factors in play, for example, a person’s health, whether they smoke, how often were they exposed, etc. On top of this, symptoms of asbestos-related diseases don’t tend to reveal themselves until around 40 years after the initial exposure, making it even more difficult to work out.